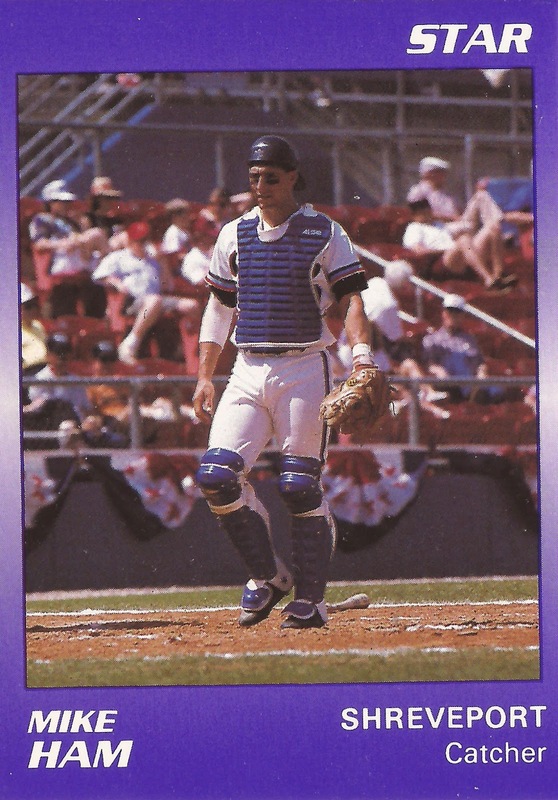 Mike Ham made AAA Phoenix in 1989, but it wasn't so much for his own play. The AAA club had an injury hole to fill, according to The Los Angeles Times. Ham, though, tried to make the best of it, The Times wrote, coming through big in two early games. "We knew Mike was a great defensive catcher, but he's holding his own as a hitter," Giants assistant director of minor league Dave Nahabedian told The Times. "That's surprised us. But, there he is with two game-winning hits." Ham got into 16 games for Phoenix that year, his third as a pro. He played one more season. He never made it higher. Ham's career began in 1987, taken by the Giants in the 24th round of the draft out of Cal State Fullerton. At Fullerton, Ham had a field day in a March 1986 game. His team won by a score of 15-2. Ham went 4 for 6, accounting for 7 RBI. Ham started for the Giants at short-season Everett. He got into 39 games and hit .248. He went 1 for 4 in a June game. He moved to single-A Clinton for 1988, hitting just .165 there over 46 games. He then played 1989 between single-A San Jose, AA Shreveport and Phoenix. In 51 total games that year, he hit .197. Ham then played 1990 back at San Jose and Shreveport. In 24 games, he hit .255, ending his professional career.